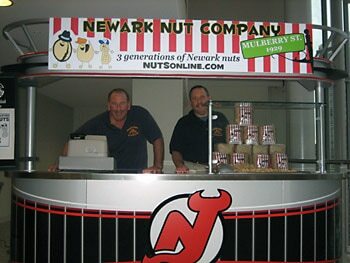 This fall, the Newark Nut Company/NutsOnline.com is opening its doors again in a new location that feels a lot like home. 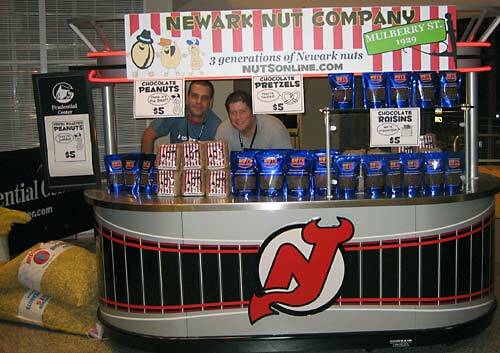 The third generation family business is now the exclusive vendor of nuts for the New Jersey Devils hockey team in Newark's new Prudential Center...literally right on top of the store that the city bulldozed a little over 2 years ago, and just 2 blocks south of the oldest nut shop! Newark Nut has survived three generations of Newark history, each time landing on Mulberry Street - first in a freestanding shop at number 99, then at a very 80s shopping center at number 147-169, and now at the colossal building at number 165. 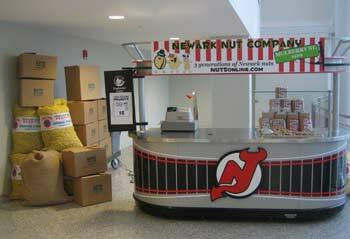 The two fathers and two sons at Newark Nut are busily loading a freshly painted roaster, old-fashioned peanut cart and huge sacks of raw peanuts and other delectable treats into the new arena for tomorrow night's Bon Jovi opener. New signs and brown paper sacks are rolling off the presses in time for the launch. The company is as wedded to Newark's Mulberry Street as ever; its history tells the story of this ever-changing but always interesting New Jersey city. 1929 "Poppy" Sol Braverman opens the Newark Nut Company shop in downtown Newark. 1940s 1930s Poppy Sol joins the service to fight in WWII. His brother almost runs the business into the ground. Sells off the packaging and warehouse operations. Eventually Poppy comes back and takes the business back over. 1960s Sons Kenny and Sandy take over the business and expand the retail operations. 1967 Newark riots shake the city - the Newark Nut Company warehouse is burnt to the ground. 1985 The city razes the retail store. The family relocates into Mulberry Street Plaza, two blocks south, during the construction of the massive Gateway Buildings. 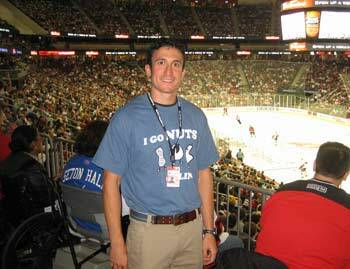 1999 Grandson Jeffrey launches NutsOnline.com from his college dorm room at Penn. 2005 Mulberry Street Plaza is razed. Loss of retail operations stuns business into refocusing its efforts online. 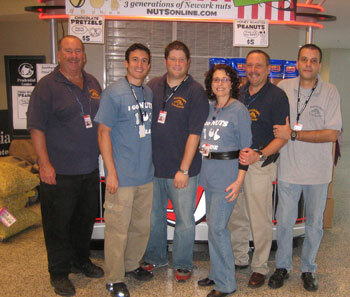 2006 The online nut business booms into multimillion dollar national sensation. 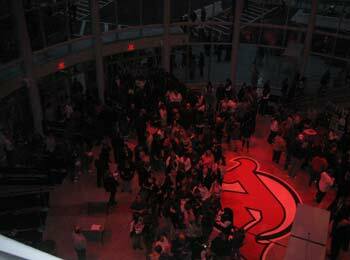 2007 October 25 - a new retail location opens inside the Prudential Center - the New Jersey Devils arena - with a roaster from 1939, completing the circle. 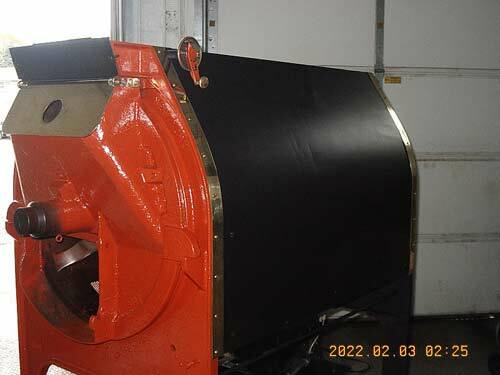 The "new" old-fashioned roaster is painted and ready for delivery to the Rock! 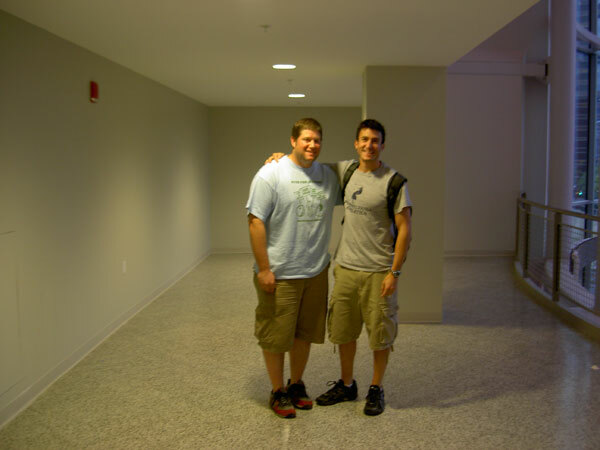 David and Jeffrey in the space that will become NutsOnline's home in "The Rock!" Getting the cart ready for opening night. 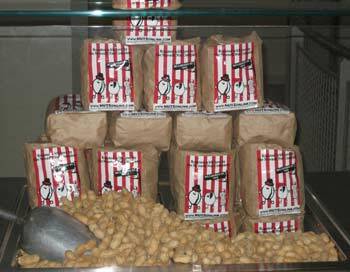 Our totally adorable new peanut bags feature all three generations of Newark nuts! Brothers Sandy (left) and Kenny man the cart as we open up! Showtime! The crowds are here for opening night with Bon Jovi. Day 2: we added some new products, like our irresistible chocolate covered raisins, pretzels and peanuts: it was a BANG up success! You guys love our products as much as ever! The gang is all here and ready for another big night! Jeffrey takes a time out for some hockey! 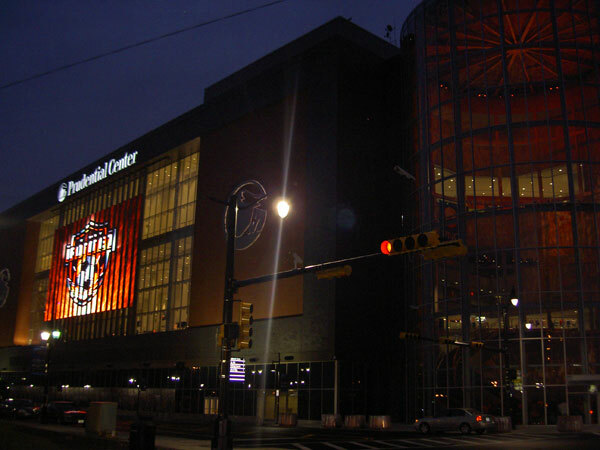 A view of our new home from the outside. Generation 1: Poppy Sol in front of the shop in the 1930s. Generation 2: That's my Uncle Sandy on the left and my dad on the right in about 1954. Generation 3: That's me on the left with my cousin David on the right in about 1984. Bustling Mulberry Street in the 1920's. It's amazing how people dressed back then! Another shot of Mulberry Street in the 20's. Are those storekeepers or hitmen? Our wholesale department was just a wee bit smaller back then as compared to now. Poppy Sol before enlisting in the Army. When serving he handed the business over to his brother Morris to run. Unfortunately the business struggled and Morris sold off our packaging and some of our warehousing operation. Here's our storefront in the 1970's. We would literally freeze in the winter. Another storefront photo in the 70's. Those big brown sacks in the middle background are 100 pound burlap bags of peanuts. Fortunately we now receive these in 50 pound bags, which is much easier on the back! In 1984 we broke ground on our new facility, 2 blocks south from our old location, but still on Mulberry Street. The completion of our Mulberry Street Plaza in 1986. Poppy Sol supervising the new store. Kenny ringing up one of the first sales in the new shop. That's my mom, my aunt, my sister, my cousin, and me (making a funny face with the balloon...hey! i'm in red, not pink!!!) at our grand opening. The governor was there along with Channel 7 News. Personally, I was more concerned with the clown than anything else. Poppy Sol was featured in the Faces of Newark: 1666-1999 exhibit at the Newark Public Library. Over the years my grandfather came to be known as the unofficial "Mayor of Mulberry Street." He came into the shop every day up until 2 weeks before he passed away, at the age of 88. Sometimes oldtimers stop back in and ask about my grandfather, which is always a touching experience. Our new home, back on Mulberry St!